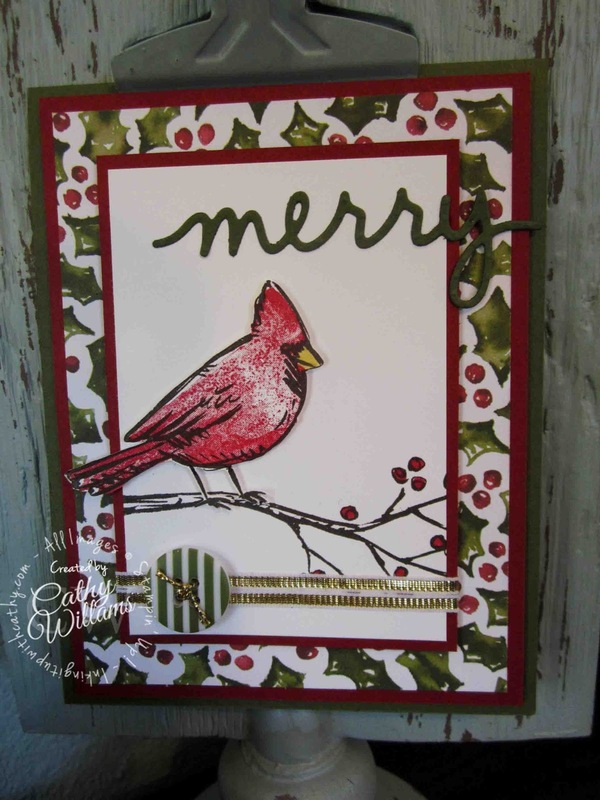 This card was inspired by Dawn Tidd whose card I found on Splitcoaststampers. Of course, I had to do my thing and change it up a little bit. 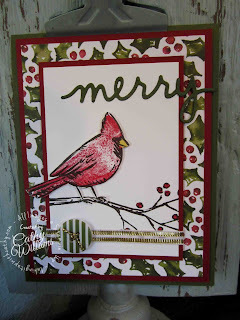 It is a fun & easy card to make, especially with my Scan N Cut to cut out the cardinal so he can pop off the page!